As a former student of Brown Mackie university, you should know that there are two U.S. Government programs you can use to receive student loan forgiveness, and even potentially qualify for a refund. These two programs are called Borrower’s Defense To Repayment (BDAR) and the Closed School Loan Discharge Program. I can assure you that these are legitimate opportunities to wipe out your student loans, and, in fact, they’re two of the best Federal Student Loan Forgiveness Programs on offer. In this post, I’ll explain how each of these programs work, including going through each program’s eligibility requirements,, as well as how to write a convincing application to increase your chances of being approved for a discharge. If you’re a former student of Brown Mackie College who’s seeking student loan forgiveness, then you’ve come to the right place. A while back, the US Justice Department won a $95.5 settlement against Brown Mackie’s parent company, Education Management Corporation. The source of this lawsuit and lawsuit settlement was rooted in EMC committing several counts of fraudulent behavior, specifically tied to the way that they advertised their Brown Mackie College. In fact, it’s basically a false advertising case, where the school made false promises or false claims, in order to lure students into taking out loans to attend their higher education programs on the belief that they were more valuable than they truly were. In the lawsuit, EMC was accused of using deceptive, high-pressure recruiting tactics to generate more enrollments, and as as result of the settlement, each one of EMC’s schools was appointed an independent administrator to monitor recruiting and enrollment practices, ensuring that the illegal marketing activities would end. Let me first explain that while this is a great opportunity to get rid of your Brown Mackie loans, and while I absolutely do suggest filling out a BDAR or Closed School Discharge Application, you need to be aware that the Department of Education is taking up to TWO YEARS to respond to applicants, so if you need immediate financial relief for your loans, then you’ll certainly need to look elsewhere. As I mentioned, there are two loan forgiveness programs available for former Brown Mackie students, the Borrower’s Defense To Repayment program and the Closed School Loan Discharge program. 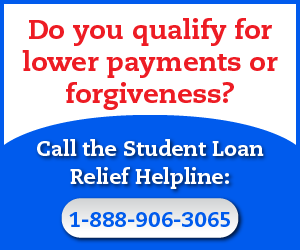 Since you can’t apply for both programs at the same time, you’ll need to read through the information that I’ve provided here very carefully and select the program that offers you the best chance of achieving student loan forgiveness. Let’s take a closer look at how each of these programs work so that you can decide which one will be best for your unique situation. The Borrower’s Defense Against Repayment program was designed to help students eliminate student loans that never should have existed in the first place, because students only borrowed the money based on lies or deceptions (essentially, fraud!). The reason former students of Brown Mackie are eligible to have their student loans discharged via the Borrower’s Defense Program is that the school was proven to have committed fraudulent marketing activity and forced to pay the $95.5 million settlement I mentioned above. Because the school was hit with this huge lawsuit settlement, and because other former students of Brown Mackie have already had their loans discharged, there’s a precedent for getting yours forgiven as well. But here’s the most important thing you need to know if you want to use the Borrower’s Defense claim to get your student loan discharged: in your BDAR application, you will need to link your claim to the $95.5 settlement, explaining that you are one of the people Brown Mackie defrauded and that your loan was only created because you fell for their deceptive marketing messages. The good news is that if you follow my instructions, and you fill out the Borrower’s Defense application correctly, then your loan servicer will basically be forced to approve your request for a discharge, and you can walk away from the outstanding loan balance without having to pay another penny! In fact, if everything goes perfectly according to plan, you stand an excellent chance of not only getting rid of your student loan burden, but also of receiving a refund for any payments you’ve already made toward the Brown Mackie debt. First of all, the most important thing you have to do with your BDAR application is emphasize the fact that Brown Mackie did something that they shouldn’t have done, and that they did it to you, personally. You need to explain that Brown Mackie committed fraud against you by lying to you about the value of their higher education programs and making promises that they couldn’t keep. Secondly, you need to stress the fact that you never would have agreed to take out a student loan to attend Brown Mackie had you not been lied to, and that it was only because of the lies they told you that you thought it was a good idea to borrow money to attend the school. In other words, you need to explain that Brown Mackie convinced you that their program was the best thing ever and that you were going to be able to get a great job upon graduation, and that you wouldn’t have taken out the student loan to attend their school had Brown Mackie not engaged in fraudulent business practices against you, personally. The fact there was a $95.5 settlement against the school will make it easy for you to prove that you were a victim of fraud. However, it isn’t enough to just point out that the school got into trouble with the law. You will need to be specific about what the school did to you personally that encouraged you to take out the loan, which means you have to share some details about what was said, promised, explained, etc. Let’s take a look now at what specific types of fraudulent activity the school was engaged in that resulted in the $95.5 settlement. As you read through the list of things they were proven to have done, think about whether or not they did any of these things to you. If you did experience any of the following illegal activities, then your student loan should be forgiven via BDAR, and you really should submit an application ASAP. What Fraudulent Activity has Brown Mackie Been Accused Of? Brown Mackie has been accused of paying recruiters enrollment incentives and exaggerating the quality of their academic programs. In other words, they engaged in deceptive, misleading, and fraudulent business practices. This is why there was a $95.5 settlement against the school. 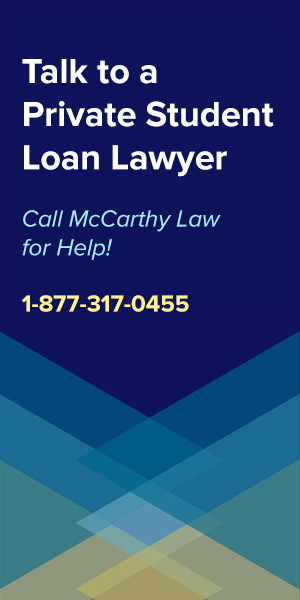 But remember that it’s not enough to simply point this out on the Borrower’s Defense application, because while you should mention that you’re aware they got in trouble with the law, and there was a huge settlement against them, you need to specifically claim that they did this to you, personally. Remember, if you directly experienced any of these illegal marketing activities, then you should qualify for a student loan discharge, and you need to fill out the BDAR application immediately to ensure that you’ll be put in line for consideration. You can apply for the Borrower’s Defense To Repayment program by going to the official US government website. This site offers a wizard that will walk you through the application process, but if you want to read the forms beforehand, simply click “View Form” at the bottom of the link above. Whatever you do, don’t file a claim anywhere else! There are all sorts of scammers floating around who are claiming they can help you file a BDAR Discharge Application, expediting the process, ensuring you’ll be approved, etc., but you really don’t need anyone’s help with this, as it can all be done entirely on your own. 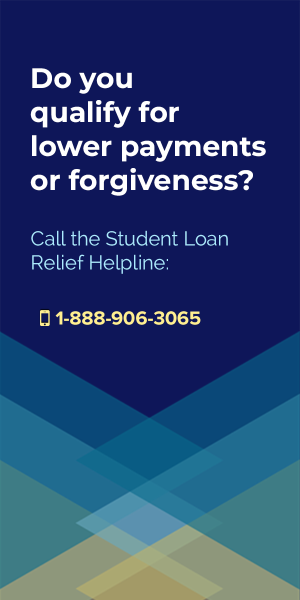 If you’re feeling entirely lost about how to deal with your student loans, and are totally unsure of whether or not you may qualify for a discharge, or whether you should try something else, then I recommend calling the Student Loan Relief Helpline at 1-888-906-3065 to see what they think you should do. The Borrower’s Defense applications are taking quite some time to process, and I’ve received comments from several people who claimed they’d been waiting over a year just to get any response from the Department of Education. However, do not let that stop you from applying for a BDAR Discharge, because if you satisfy the eligibility requirements, you will get your loans discharged, it’ll just take a while to get through the approvals process. But you need to apply right away, because our Secretary of Education (Betsy DeVos) has been fighting to close this program down since she first took up her role at the Department of Education, and she is the reason why it’s taking so dang long to get a response on BDAR Applications. While she may successfully kill the program at some point in the near future, if your BDAR Application was submitted before that date, you should be grandfathered into the program and receive an approval for a discharge even if they close up shop, so be sure to get your app in right away! The Closed School Loan Discharge program is another option if you don’t feel that Brown Mackie defrauded you. The nice thing about the Closed School Discharge is that it’s much simpler than the BDAR Program since it’s a simple yes or no answer, meaning it won’t take over a year to find out if you’ve been approved for the discharge. The Closed School program was designed to help student loan holders who were studying at a school at the time it closed, or who left the school no more than 120 days prior to the closing, and like I mentioned, if you satisfy those conditions, you’re pretty much guaranteed to get approved for a discharge that wipes out your remaining student loan debt. You may even qualify for a refund of any money that you’ve already paid toward your Brown Mackie loans, so if you satisfy the eligibility requirements listed below, I would highly recommend applying for this program. I’ve created a page on my website where I go through the Closed School Loan Discharge Program in extensive detail, covering every little aspect of it, but for the purposes of this post, let me first introduce you to general concept of how this program works. If you were studying at Brown Mackie when it closed, then you qualify for a Closed School Loan Discharge. If you were studying at Brown Mackie within 120 days before the school closed, you would also qualify for the discharge (even if you voluntarily withdrew from school!). The only things that could stop you from qualifying for the discharge would be if you already transferred your Brown Mackie credits to some other University, or if you completed all the requirements of your degree program before the school shut down. If you satisfy these requirements, then you should definitely apply for the Closed School Loan Discharge program because you’re basically guaranteed to get approved for forgiveness. Applying for the Closed School Loan Discharge program is easy. All you need to do is download the application, fill it out, and submit it to your loan servicer, who will then walk you through the rest of the process. If you’re not aware, your loan servicer is the company who you send your monthly student loan payments to. Every loan servicer has a slightly different way of processing these Closed School applications, so I can’t tell you exactly what you’ll need to do after submitting your paperwork, but your loan servicer is obligated by law to explain that process to you and to help you through it to ensure you get the loan discharge that you deserve. They’re both good programs in that they can both get rid of your outstanding student loan debt, and each also has the potential of refunding the money you’ve already spent on your loans, but I would lean toward using the Closed School Loan Discharge if you qualify for both programs. Why? Because Borrower’s Defense Applications are simply taking too long to process, and because the approvals process for BDAR claims is somewhat subjective: it’s based on convincing whoever receives your application that you really do deserve the discharge because you were lied to. With the Closed School Loan Discharge, you don’t really have to convince anyone of anything other than that you were a student of Brown Mackie’s within 120 days of their closure, so it’s basically a yes or no question rather than a subjective thing. Therefore, assuming that you are one of the lucky few people who qualifies for both discharge programs, I would suggest that you first pursue the Closed School Discharge simply because you probably won’t have to wait as long, and your odds are much better of getting the approval to come through. Ultimately, the choice is up to you though. You, unfortunately, you will have to pay taxes on whatever amount of money ends up being forgiven. 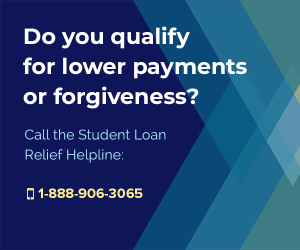 Forgiven student loan debt is considered taxable income by the IRS, and the worst part of their rules on forgiveness isn’t just that you have to pay taxes on the amount forgiven, but that you have to pay it all at once in a single, lump-sum payment. Let’s assume that you use one of the two programs I’ve discussed here to discharge $100,000 of student loan debt. If your taxable income rate is 30%, then you’ll end up owing the IRS $30,000, and they’ll want you to pay that all at once! 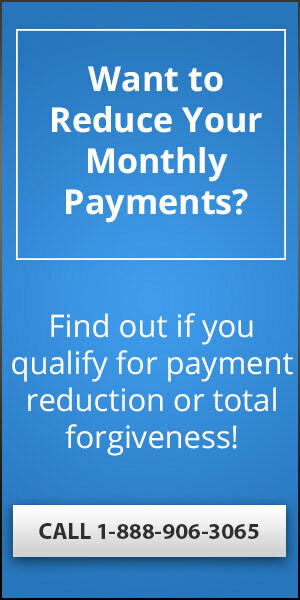 Nobody I know has that kind of money laying around, especially people who are having trouble making their monthly student loan payments, so I’m fairly certain that this is going to create a massive problem for most borrowers who receive forgiveness. 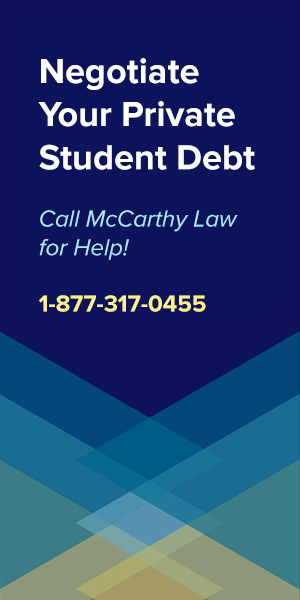 Because I know people will need help with this massive debt that the IRS slaps on them, I’ve created an entirely new website called Forget Tax Debt where I offer the same kind of advice I provide here about student loans, but specifically for IRS debt. If you’re having trouble with the IRS and are looking for solutions on what you can do to get rid of that IRS debt more affordably, you may want to start by reading these articles from Forget Tax Debt: Filing & Paying IRS Back Taxes, IRS Tax Debt Settlements, The IRS Fresh Start Program, and IRS Tax Debt Forgiveness. 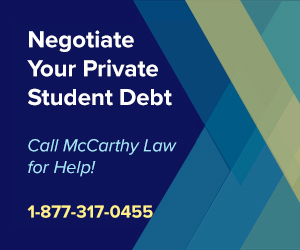 If you have any other student loan questions, be sure to visit other pages of my site where I cover Private and Federal student loan debt in extensive detail. If you need Federal Student Loan Relief, try visiting my pages on Federal Student Loan Forgiveness, Student Loan Bankruptcy Discharges, Student Loan Delinquency, Student Loan Rehabilitation, and Student Loan Wage Garnishments. 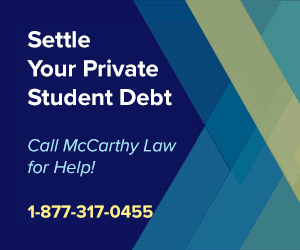 And if you need Private Student Loan Relief, you’ll want to look at my pages on Private Student Loan Forgiveness, Private Student Loan Consolidation, Private Student Loan Bankruptcy Discharges and Private Student Loan Defaults. If you have other questions about the Borrower’s Defense Program or the Closed School Loan Discharge Program, visit the official U.S. Government pages for each of these programs, which you’ll find here and here. Finally, if you have any other questions that you just can’t seem to find the answers too, please post them in the Comments section below and I’ll try to get you a detailed response within 24 hours. 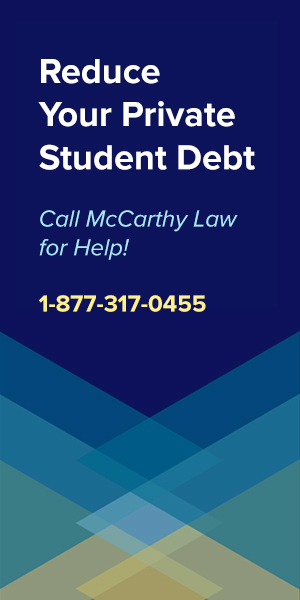 Thanks for visiting, and if this page helped you out, please share it on Social Media or email it to your friends, family members or coworkers who you know are struggling with student loan debt of their own! I am a 2008th year student in brown mackie and I have experienced the frauds done by brown mackie and I was selected for the course even though I haven’t passed the entrance examination by a recruit. Am I eligible for borrowers defence program . Please help me. Well, your point about not passing an entrance examination does’t sound like fraud, but if you have other instances you can point to then you might be able to qualify for a BDAR Discharge. Hello. I just graduated from Argosy in December 2018. Planning to file for Borrower’s defense but not exactly sure what to say on my application. Could you help me? Check out my Guide to the Borrower’s Defense to Repayment Application, where I walk you through the types of arguments that help increase the chances of getting your loans discharged. Hi! I attended Brown Mackie in Akron between 2007 and 2009. I was a very naïve kid, and bought into all that was promised to me. I ended up finishing my degree in June of 2009. Only to find out after graduating my transcripts were not transferable or recognized from Brown Mackie. I was not told this upon enrollment, and it took me about 4 years to get a job related to my field after graduation. I am currently on IDR and PSLF plans through Fedloan. Can my debt still be discharged? Total I have about 50,000 in loans on a two year degree….. I am ashamed. Any idea if I will still be considered as I am currently on a PSLF and IDR plan? Please advise. I don’t understand you story here. You graduated from the school, but were then told that your transcripts were not transferable or recognized by the same school? Why were you trying to transfer transcripts after graduating? If you make this your argument on your BDAR application, it will fail. Read my entire post and look at my suggestions for writing your arguments. Hi, I graduated from the Brown Mackie College in Birmingham, AL in November of 2013. I was told I would be paying $50.00 per month on my student loan. Well, I got the bill after I graduated from my loan provider for $378.79! I asked them why I was being charged this. They told me I only would pay $50.00 if my loan was below $4,000. Brown Mackie took out a loan close to $40,000! The school closed two years ago and I’m still struggling to pay back this loan. I feel like I was lied to by Brown Mackie. What can I do to fix this problem? I would look into the Borrower’s Defense to Repayment Program. It definitely sounds like you got swindled with a bait and switch here, where they promised you a much lower price than they ended up charging. I attended Brown Mackie North Canton, Ohio. The Sallie Mae ( 2 ) loans were given and sold to Navient who charged me 8.6 % interest and 6.8% interest. I talked to Dept. of Education and paid via credit card to have the loan dismissed by the sum of $ 900. They said that my loan was dismissed and not to reply to Navient. I now am receiving a Garnishment of Wages. I am not paying back 63,000 for a worthless piece of paper ! They were legitimate as they knew my past education for Medical Assisting which I did not disclose to them and paid the entire amount. What can I do to rid myself of this burden. I believe the fraud to be Sallie Mae and Navient, as well as Brown Mackie North Canton, Ohio. If the Department of Education says that your loans were dismissed, then it sounds like there’s a mixup here. 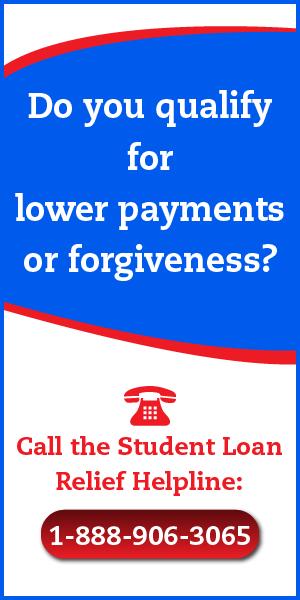 Try contacting the Student Loan Ombudsman Group to see if they can help you resolve the legal issue. 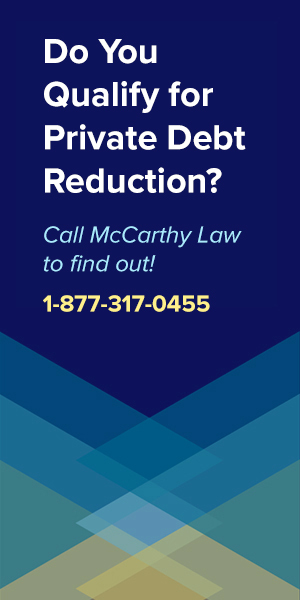 This is a FREE service offered by a group of Government backed attorneys, and they may be able to advocate on your behalf. You know what irritates me is not only am I $49,000 in debt from these lying pieces of crap, but I wasted almost 3 years of my life that I will never get back. I was a single mother trying to survive as it was & couldn’t do it then. Here I am now, trying to go back to school and now just finding out that, the school isn’t accredited & that nothing I took counts towards anything. I’m beyond pissed. If the school wasn’t accredited, but claimed to be, then you should be able to qualify for a BDAR Discharge against them. That’s fraud.